The first assignment in my furniture class was to design and build a table that aids an activity. 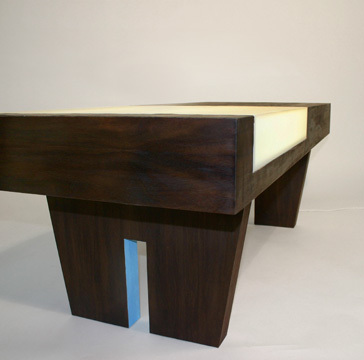 I designed this walnut coffee table with an acrylic light-table inlay to brighten the room. 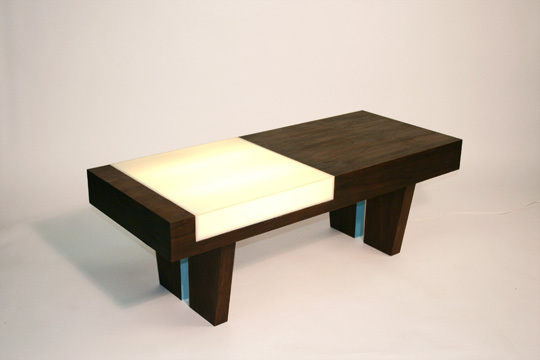 I used more sustainable walnut veneer rather than solid wood and efficient flourencent bulbs that can be exchanged by lifting the acrylic cover.